2001 Polar Fishmaster Travis Edition Looking for a used boat that has been well-maintained and has many good years of use to come? This is your boat! It belonged to my buddy and fishing partner who passed-away in January. 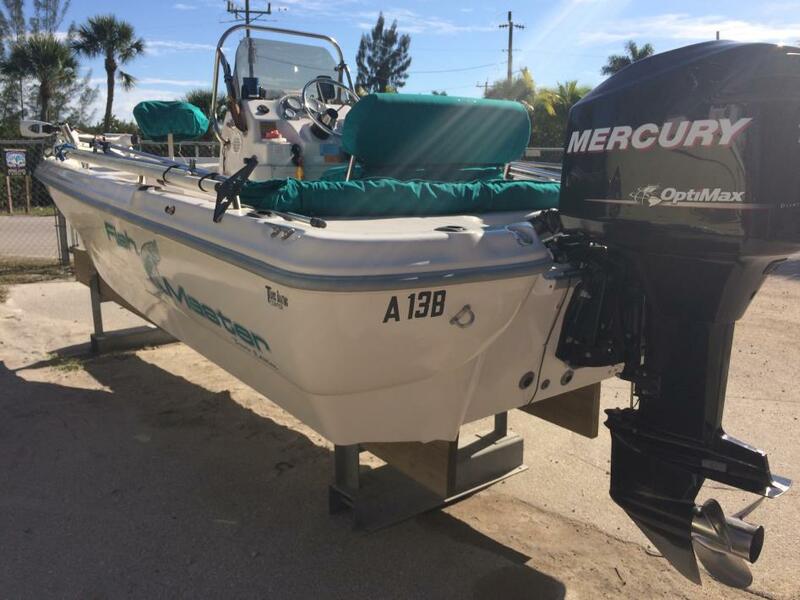 Powered by a 2012 150 HP Mercury Optimax (fast), it has 485 actual hours and was serviced every 100 hours. It still has a few months left on a five-year extended warranty. All manuals and records also. The boat also has: Bimini cover; 8 rod holders; depth finder; battery shut-off; live well; bilge pump; 80 lb. thrust 24 volt trolling motor; on-board 24 volt plug-in battery charger; two water/fuel separater filters; life jackets; safety kit that includes flares, fire extinguisher and jumper cables The boat has a 103" beam (very stable) and 18" draft (goes shallow). It has been stored indoors for the past 6 or 7 years at the Pineland Marina on Pine Island. Contact Terry 239-887-0310. If unable to reach Terry, contact Howard 406-570-3933. 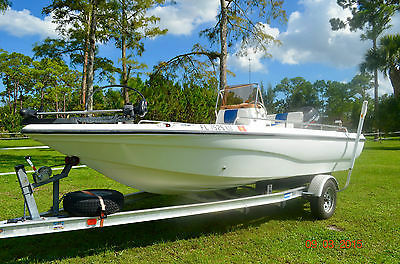 2002 Polar 2300 Bay 2002 Polar Fishmaster 2300 model with 200 hp Mercury Optimax Saltwater Series. The motor has been recently serviced, including lower unit, inline fuel filter, new starter, new key switch, and starting solenoid. It has approximately 525+- hours. This boat does it all, big enough (8'6" beam) to fit the whole family for a weekend trip to the island, floats comfortably in 14" of water, and can fish the nearshore wrecks and reefs with ease. This boat has tons of storage and features both front and rear live wells, totaling over 35 gallons. The boat comes with a VHF radio, marine MP3 radio, newer speakers, color Lowrance GPS/Bottom machine combo, 3 different anchors (2 danforth and 1-10' anchor pin), full coast guard required safety kit with 8 life jackets, new starting battery. The tandem axle aluminum Magic-Tilt trailer has been recently serviced as well with new hubs (all replaced within the last year), wheels, and jack stand. Its ready for you this weekend! Contact us with any further questions regarding this vessel. Great financing options available!